So, as I headed to Dallas, I visited my favorite Starbucks. 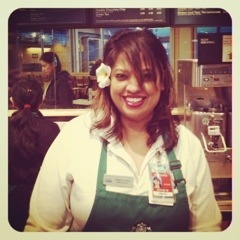 Believe me, the best Starbucks partner works at the Vancouver Airport in US departures. She’s always smiling and always wears that flower! She is so proud of the award she received from Howard Schultz. All of a sudden, my coffee tastes even better!